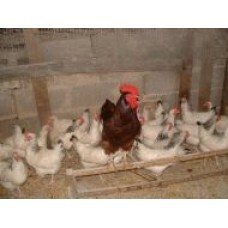 We are poultry breeders who supply everything you need for poultry keeping. 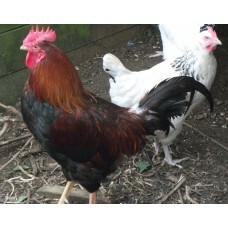 We always have a wide selection of fertilised eggs for hatching available. 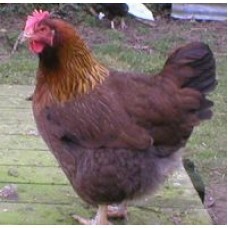 The WELSUMMER is a light, friendly, and intelligent breed, with rustic-red and orange colour. 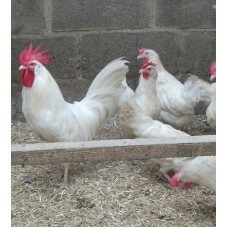 Repres..
WHITE LEGHORN HYBRID HENS WITH PURE BRED WHITE LEGHORN COCKEREL. 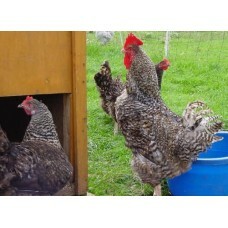 The birds are similar in looks to the White Star hybrid but will because of the breeding to get a ..